We collect information from you whenever you register for a teleconference, purchase a product, subscribe or sign up to receive electronic communication from us, or request to receive information from us. Further, we do supply the names and phone numbers to either consumers that may request someone of your profession in your particular region for the purpose of engaging your services, or other professionals seeking to develop referral relationships with someone of your profession in the region they also service. 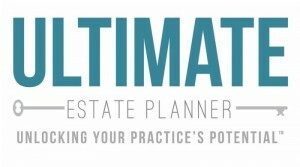 Should you wish to decline our inclusion of your contact information for such purposes, you can request to do so by sending us a written request at The Ultimate Estate Planner, Inc., 212 Yacht Club Way, Suite A-7, Redondo Beach, CA 90277. Our website may, at our discretion, include or offer third party products or services. These third party sites have separate and independent privacy policies. Therefore, The Ultimate Estate Planner, Inc. is not responsible for the privacy practices, content, and activities of these other sites. We encourage our visitors to be aware when they leave our site and to read the privacy statements of each and every website that collects personally identifiable information. Nonetheless, we seek to protect the integrity of our website and our company and welcome any feedback about these other third party sites. If you need to update your personally identifiable information (such as your e-mail address or mailing address), we can quickly and easily assist you in doing so. Please contact us at 1-866-754-6477 Monday through Friday from 8:30am to 5pm Pacific Time.